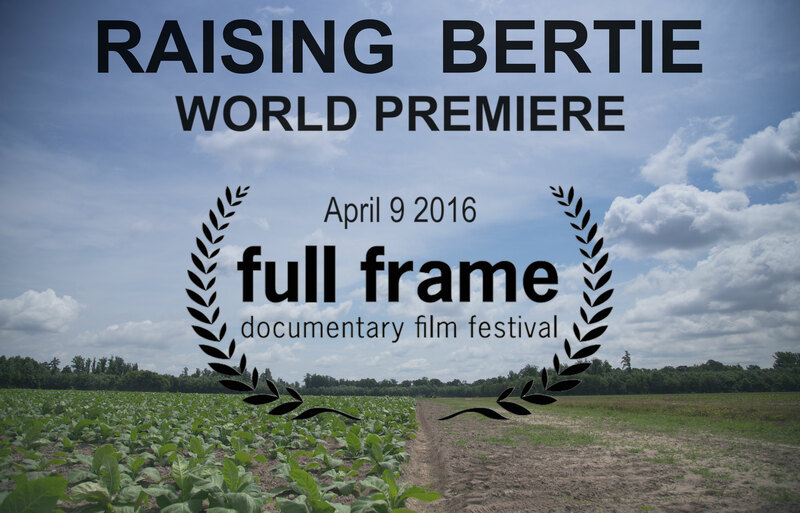 Raising Bertie, a new film from debut director Margaret Byrne and Chicago’s award-winning documentary collective Kartemquin Films, will world premiere at Full Frame Documentary Festival in Durham, North Carolina on April 9, 2016. Set in Bertie County, a rural African American-led community in Eastern North Carolina, the film takes the viewer deep into the emotional lives of three young boys - Reginald “Junior” Askew, David “Bud” Perry, and Davonte “Dada” Harrell - as they face a number of challenges over six years as they grow into adults. All three will attend the world premiere. This raw and starkly poetic longitudinal cinéma vérité film weaves the young men’s stories together as they navigate unemployment, institutional racism, violence, first love, fatherhood, death, and estrangement from family members and mentors, all while trying to define their identities. Partial funding has come from sources including the MacArthur Foundation, Ford Foundation, and the Southern Documentary Fund, along with support from IFP and Good Pitch Chicago, though for the majority of production Byrne, a single mother, self-financed the film. Director Margaret Byrne’s debut documentary is an intimate six year portrait of three African American boys growing into adulthood in rural North Carolina, exploring complex relationships between generational poverty, educational inequity, and race. Directed and Produced by Margaret Byrne. Produced by Ian Kibbe. Director of Photography, Co-Producer: Jon Stuyvesant. Edited by Leslie Simmer. Executive Producers: J.Cole, Gordon Quinn, Justine Nagan. A production of Beti Films and Kartemquin Films. www.raisingbertie.com. Link to full press kit.